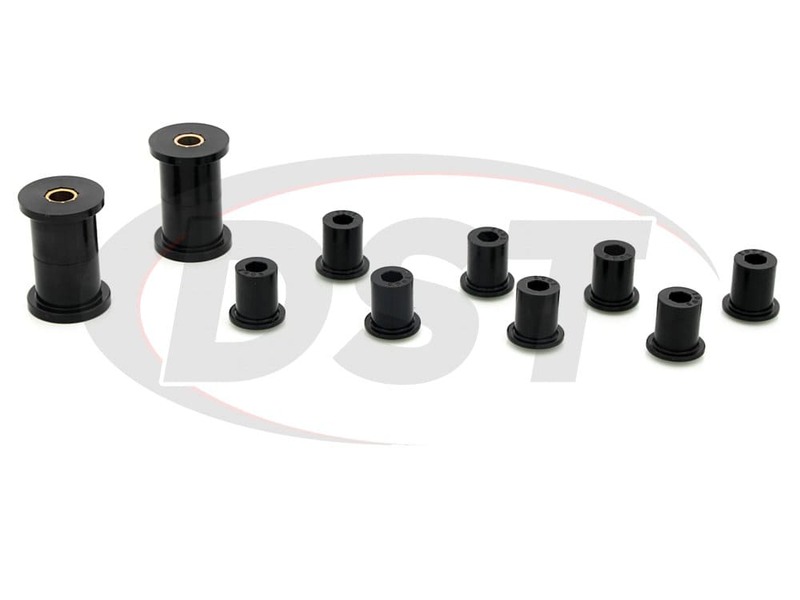 These Rear Leaf Spring and Shackle Bushings from Energy Suspension will replace the worn original rubber bushings on the Jeep CJ5, CJ7, and CJ8 Scrambler. 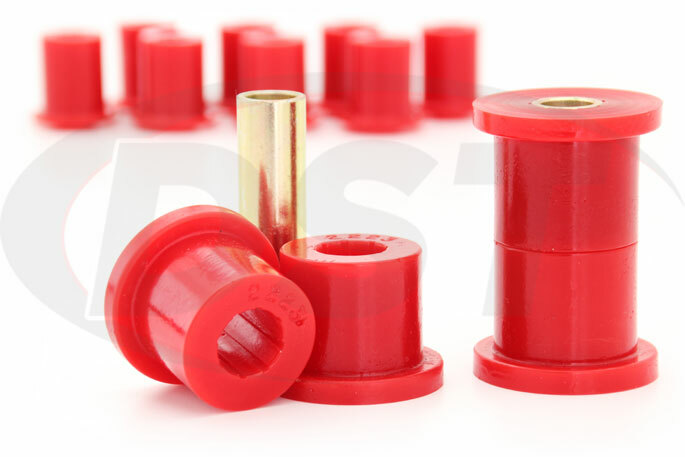 Installing these bushings can restore and upgrade your rear suspension eliminating the clunks or clanks you might experience when taking off or braking and can reduce the chances of bump steer or rear steering by holding the rear leaf springs, axle, and wheels in alignment more securely than OEM bushings. 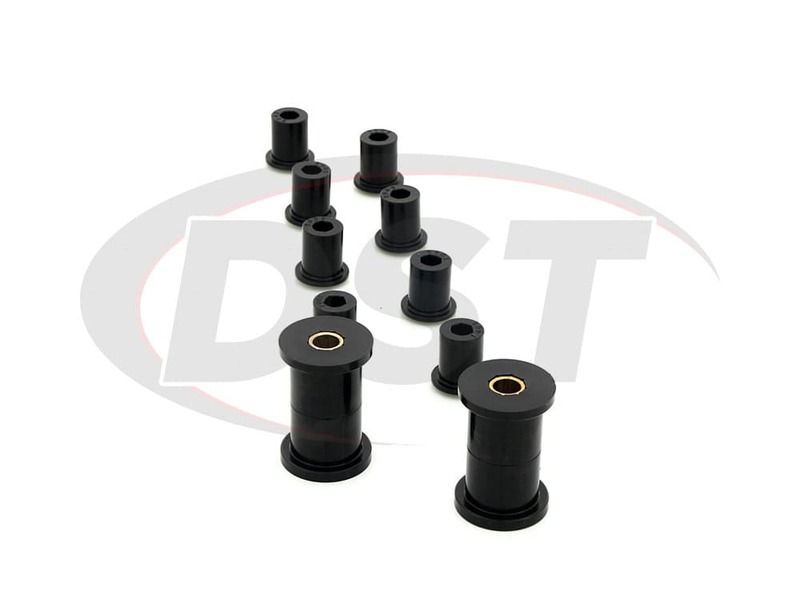 The rear leaf springs on your Jeep connect the axle to the frame and absorb bumps and road feel, but part of that connection is made up of rubber bushings. 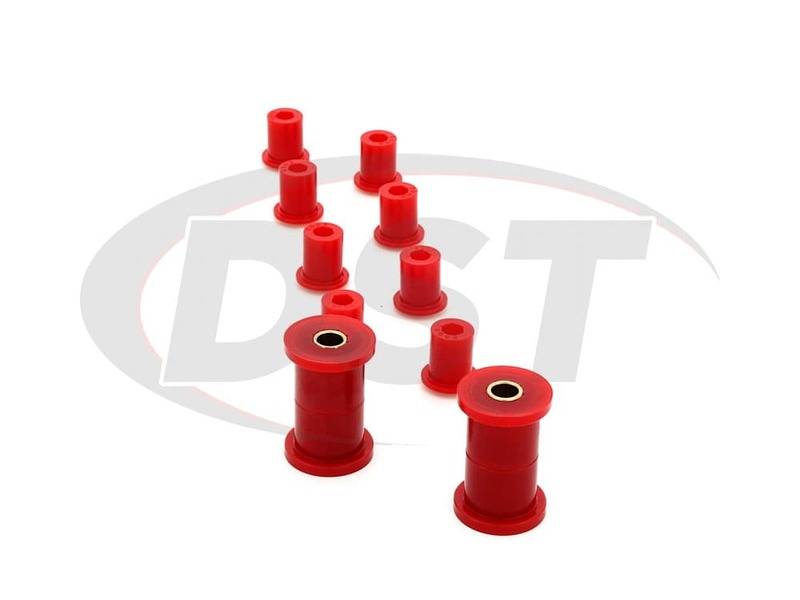 Rubber is a great vibration absorber but the bending and flexing that it goes through will eventually change the shape of the bushing permanently, leaving your rear leaf springs with a loose connection to the frame. Since the rear axle is held in alignment partially by the leaf springs this looseness in the bushings can cause problems such as rear steering or scrubbing (uneven wear) of the rear tires. Whether you enjoy commuting to downtown Fort Worth in your Jeep, or like to wheel around in broken country every weekend, having a secure rear axle is going to be important. The rear leaf springs are a big part of what keeps your rear axle aligned, and when the rear axle is far enough out of alignment you might find that your Jeep is not moving straight ahead. This can be a direct result of hollowed out rubber bushings allowing the rear leaf springs to shift and as a result, throw off the thrust angle of your Jeep. 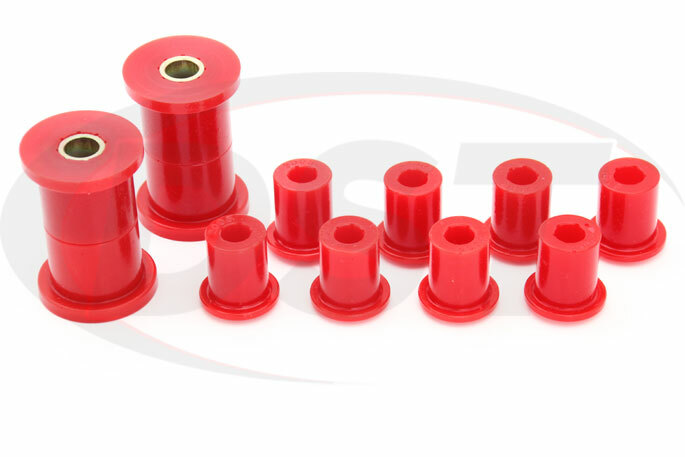 If you're looking to restore or upgrade your Jeep's rear suspension then Energy Suspension's polyurethane rear leaf spring and shackle bushings are a great option. 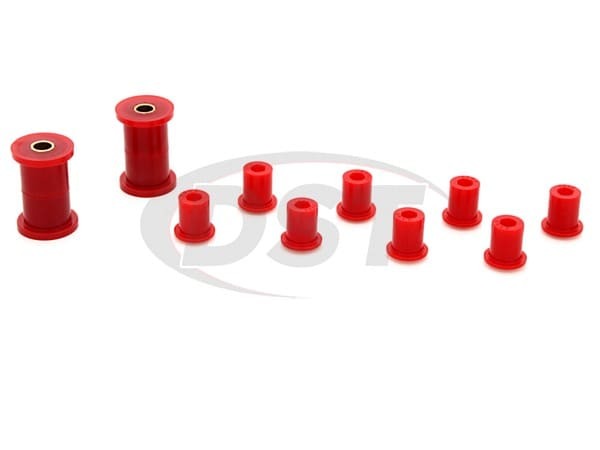 Polyurethane is much more durable than rubber and doesn't flex and change shape to the extent that rubber bushings will. This means that your rear axle will stay in alignment and keep your rear tires pointing straight ahead. 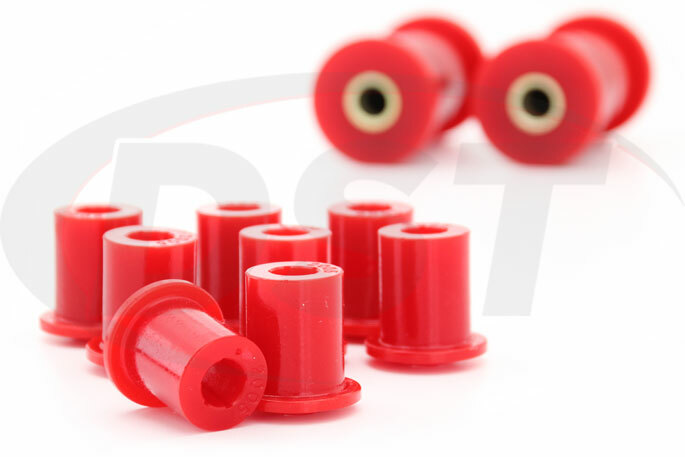 Besides resisting the wear of driving much better than rubber these bushings also stand up to the elements. 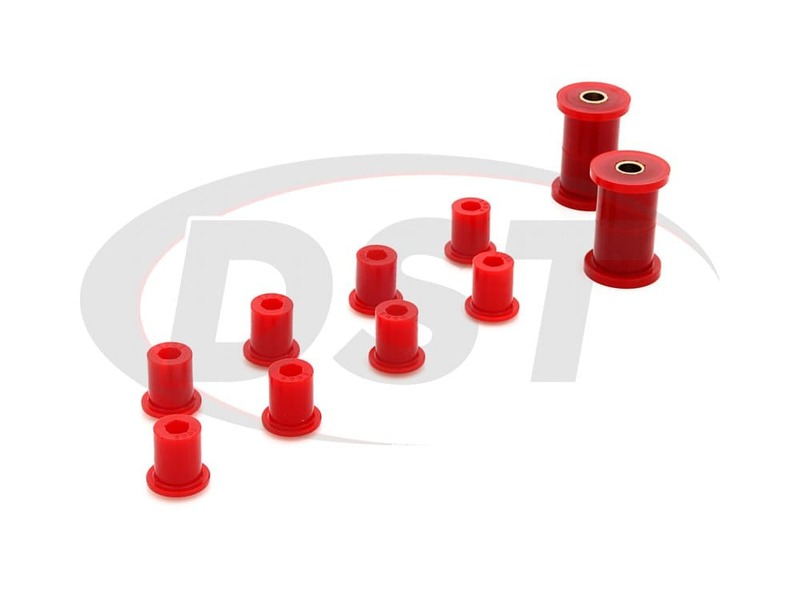 Heat, road salts, and coastal climates are some of the factors that will begin to break rubber down, but polyurethane bushings are unaffected by these conditions. 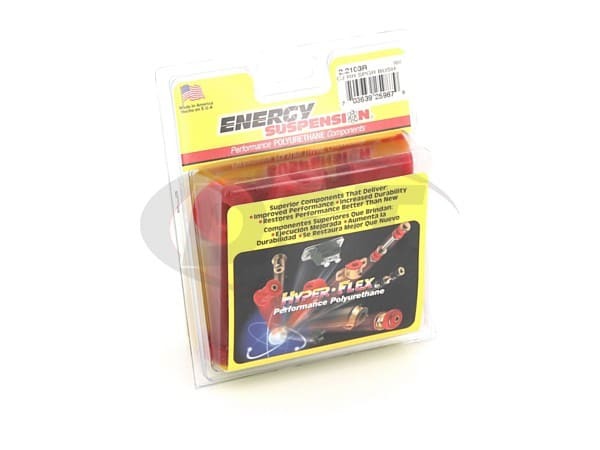 Suspension.com offers an exclusive lifetime warranty for these Energy Suspension bushings. Very good product. Makes so much difference in my jeep it is unbelievable. I would recommend them. I would have liked a more detail directions for installation .